Incredibly, it’s already halfway through 2014 – how did that happen? 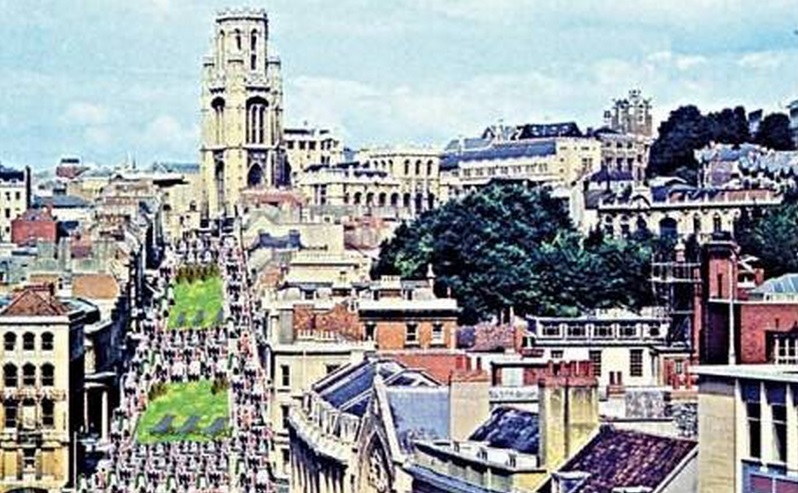 Bristol and Bath have already welcomed a swarm of food festivals and events, and we’re not even that far in to summer yet! It’s still hard to believe that just a few weeks ago there was a water slide running down one of the city’s main streets, and now Park Street is set to be transformed again. As part of the ongoing Make Sundays Special, June 1st will see Park on Park St, with the area being covered in turf, plants and deckchairs. There will be entertainment throughout the day, including music, comedy and cooking workshops. You can find more info on their website. Having just bid farewell to another fun Vegfest, it’s now the turn of the carnivores to take over the harbourside, with Grillstock bringing their meat, music and mayhem to Bristol on 7th & 8th June. Featuring BBQ challenges, a multitude of eating competitions, music and various workshops and tastings, there’s no better place to be in the South West if you’re a fan of all things Americana. For full event listings, visit the Big Green Week website. If you want to do even more green-fingered activities, why not check out the Get Growing Trail from the Bristol Food Network, which maps over 30 food growing projects across the city, all open from 7th June. One highlight of the trail is the Discovery Day being held at Windmill Hill City Farm in Bedminster (just by Asda) on 7th June – it’s free and there will be a BBQ, music, children’s activities and storytelling. For more information on this and related projects,visit the Bristol Food Network or Edible Bristol websites. Other parties to look forward to this month include the first birthday of Gloucester Road’s Spanish deli El Comado on Saturday 14th. The team are cooking a huge paella and playing host to some live music, so pop along to try some fine Spanish fare and help them celebrate! Following their mention in the Guardian’s Best Craft Bars in Bristol feature, Aviator are warming up their barbecue to contribute their popular ribs to the Chandos Road Street Party on Sunday 15th – this is also Father’s Day, so if you’re looking for somewhere to drag your dad you can’t do better than beer and barbecue, surely? If you’re in the mood for a more intimate setting, there are some fun dining events happening throughout the month too. For starters, Topping Books in Bath are having a Spanish Night on 4th June; for £10 you can get a selection of tapas cooked by Sam & Sam Clarke from Morito. 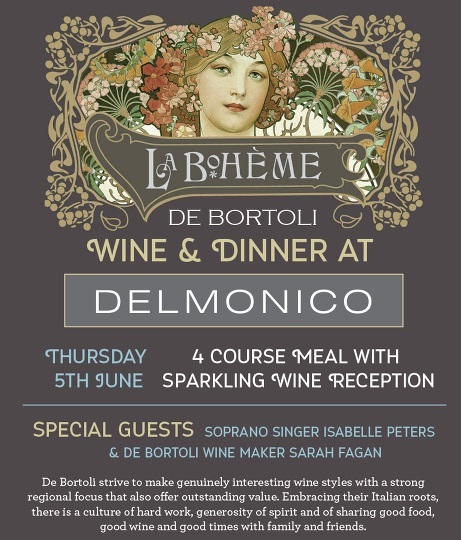 The following evening on Thursday 5th June you have the choice of two interesting events; the first is a 4 course meal with sparkling wine hosted by De Bortoli at Delmonico (£50), or if your budget is slightly more modest you can head to Culture & Cure in Bath for their tasting event with Raisin Wines – tickets are £25 for an evening of cheese, charcuterie and the chance to try 6 different wines (1 red, 1 rose, 1 sparkling & 3 white). Thursday 12th & Saturday 14th also see the return of the popular Food Theatre to The Volunteer Tavern – the menu looks absolutely incredible, so if you don’t want to miss out then make sure you run along to the bar to nab your ticket soon! If you’re up for something a bit more spontaneous, pop up venue 40 Alfred Place have a selection of great food vendors in this month; first up is Latin cantina The Plumed Serpent on 7th June, followed by the Italian dining experience Una Notte Con Amici on 8th June, vegan chefs Hunki Mori on 21st June, and finally the return of popular supper clubbers Dine With i on 25th June. Want to learn something this summer? Source Food Hall in St Nicholas Market are offering courses in fish filleting on 19th June (£45) or in basic butchery on 11th June (£55). Demuth’s Cookery School is also running an event in collaboration with Independent Spirit on Thursday 12th June – a Carribean rum tasting & cocktail making evening. Tickets are £25 and can be purchased from Demuth’s website. If you want a lesson in fine Danish beer, Brewdog are putting on a Mikeller Beer School on Weds 11th June – tickets are available from the bar for £24. For the traditionalists among you, Weber & Trings are doing a Provence wine tasting on 18th June from 7pm (£20), or Raisin Wines in Bath are doing a tasting of Chilean wines on Friday 27th June, (£15). What are you up to on Friday 13th? If you’re in the mood for a rebellious and rum-soaked evening, there can be no better place to find yourself than Prohibition Bristol‘s latest tropical vintage glamour event. 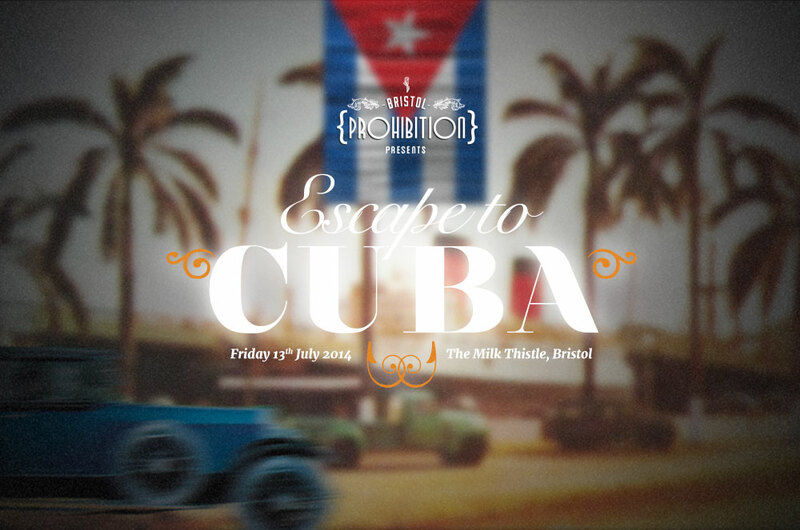 For one night only, Milk Thistle will be transformed into a Caribbean getaway, the origin of the theme being that during Prohibition, Bacardi invited Americans to “Escape to Cuba” where the alcohol ban was not enforced and they could drink Mojitos, Daiquiris & potent punches to their heart’s delight – and now so can you, alongside the usual high calibre of cabaret, burlesque, live music & DJs. Tickets are £25, and available from the Prohibition website. Exciting news for Southville & Bedminster dwellers – North Street is going to be home to a new branch of Corks of Cotham as of Tuesday the 2nd June! You can find the shop just by The Hare, so pop in to peruse an impressive selection of beers, spirits and wines. There is also another great addition to the bars of Corn Street, and not long after the arrival of much-lauded Spanish bar and kitchen Vault Room. Local chain The Cosy Club are opening their latest branch on 13th June – expect comfy seats, a loungy atmosphere and some tasty meal deals. I’ve been a fan of their Bath branch for a while so am looking forward to seeing what the latest bar looks like. Following successful stints at their converted horsebox on Stokes Croft and The Hillgrove pub, Katie and Kim now have their own permanent premises on Picton st. Katie and Kim’s Kitchen has only been open a matter of days but has already been attracting plenty of praise, so be sure to pay them a visit soon. 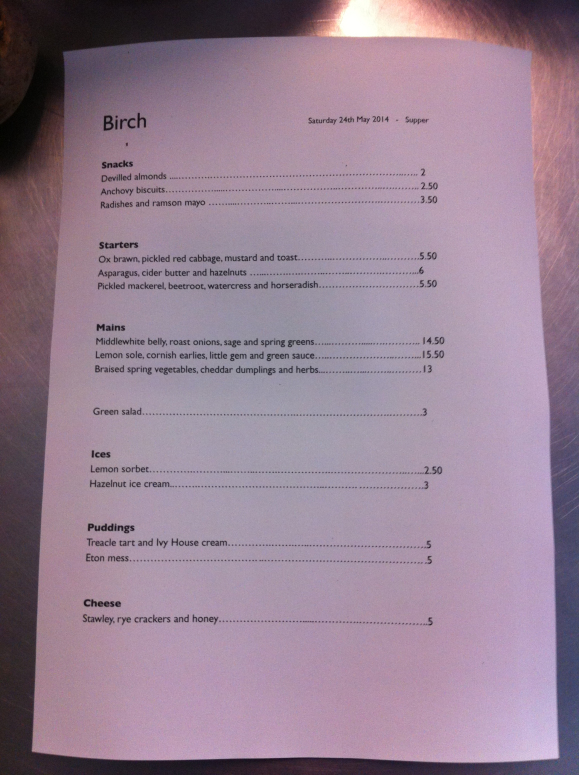 Another well-received launch has been that of Birch on Raleigh Road in Southville, the new home of chef Sam Leach and home to simple and seasonal British food. And that’s June! What are you looking forward to this month? And what have I missed? Thank you, I’m really pleased that you find it useful 🙂 Hope all’s well with you!